The event takes place at Rooifontein Game Farm, Phoenix Park, Kimberley, 8301. It is entirely organised by volunteers. This is an out-and-back route. The route starts at the main entrance gate to the Rooifontein Game Farm and follows the main gravel road into the farm. The route initially heads in an easterly direction along the farm’s boundary fence, after which runners take the second turn-off to the left. From here on the route continues in an easterly direction before the road makes a turn in a south-easterly direction until the turnaround point at the 2.5 km mark is reached. After reaching the turnaround point, runners return to the starting point following the same route. Please note that dogs are not allowed at this venue. Adequate, safe parking is available at the start/finish. The run starts at the main entrance gate to the Rooifontein Game Farm. Travelling from Kimberley: Take the R64 to Boshof. Take the first turn-off to your right, right after the big mine dump on your right-hand side. Keep to the left, along the game fence, until you reach the Rooifontein Game Farm entrance gate. 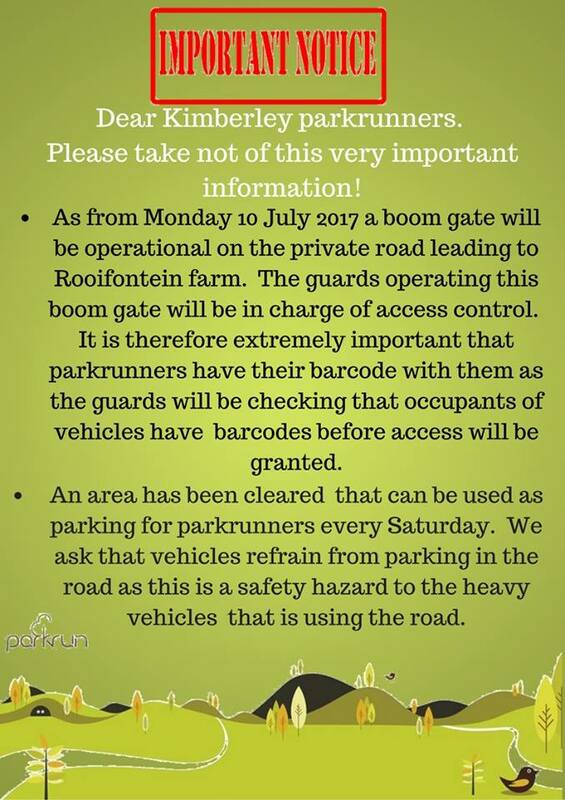 A boom gate will be operational on the private road leading to Rooifontein Farm. 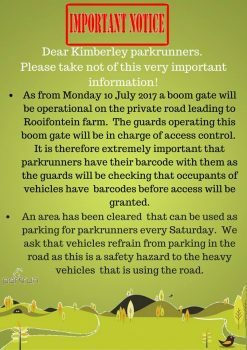 Guards operating this boom gate will be in charge of access control so Parkrunners need to have their barcodes to be granted access. 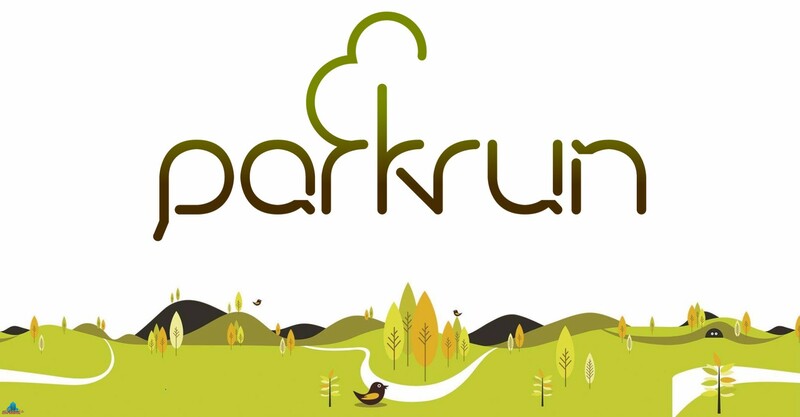 An area has been cleared that can be used as parking for parkrunners every Saturday. Please do not park in the road as it is a safety hazard to the heavy vehicles using the road.